The Golden Milling Company was one of the longest lasting flour mills in the West. It survived everything from fires and flooding to economic pressures to eventually become a modern feed store. Located along Clear Creek in the heart of Golden, Colorado, and nestled between two parks, the Golden Mill is in the prime location for a bustling community amenity space. 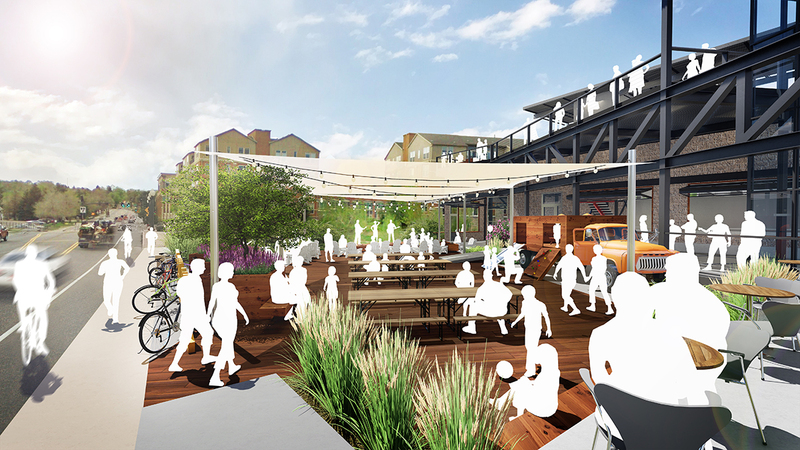 The existing structure, which will be adapted to feature multiple local food vendors and an event space with all-season patio seating is complemented by a flexible public plaza and community space. 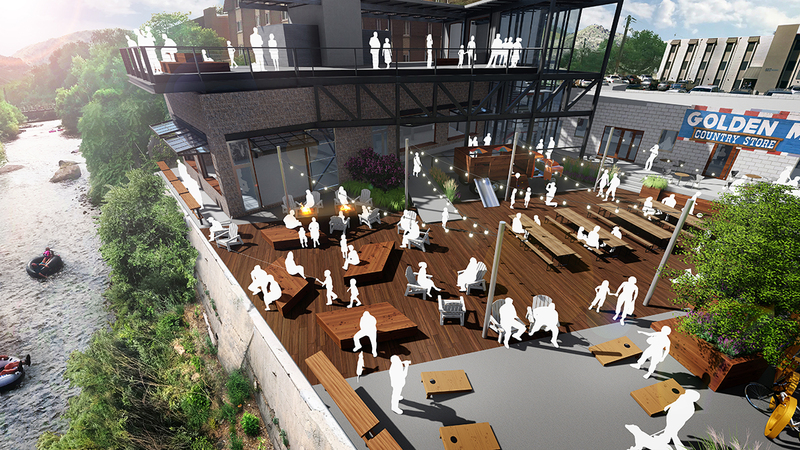 Based on community feedback, the plaza provides a large outdoor gathering space that acts as an outdoor living room with views to the creek and mountains. 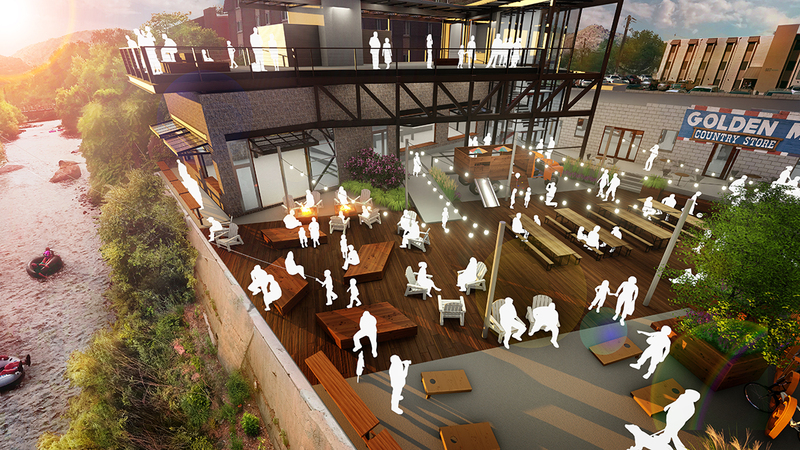 The active social space satisfies their desire to create a space for the community gather and enjoy local goods, great food, music, games, and fun. 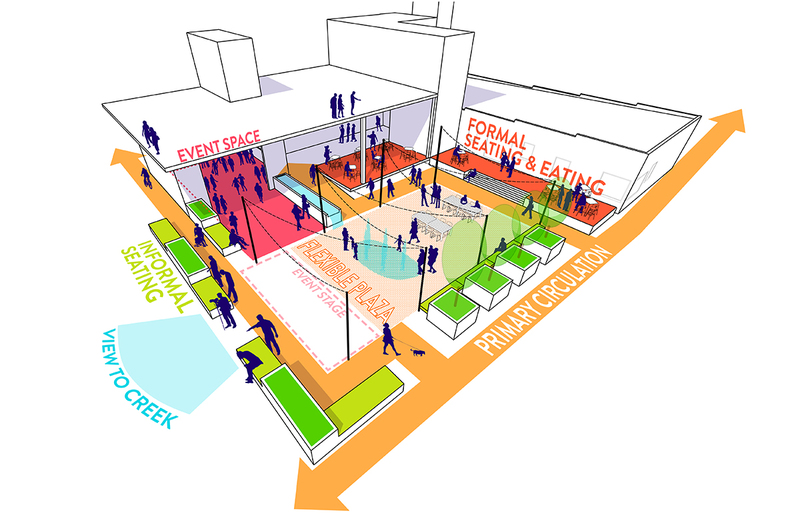 The flexibility of the plaza allows for additional future and unforeseen programs to be continuously added to the space. Seasonally, the space will be used for a farmers or winter market, provide access for food trucks and other mobile vendors, and can be covered with a shade structure. Livable Cities Studio is the landscape architect for the project and lead designer for the public spaces, plaza and exterior spaces surrounding the building.